Firstly I wish to thank Anne Cater for inviting me to take part on the Orenda Blog Tour for WE WERE THE SALT OF THE SEA by Roxanne Bouchard. As Montrealer Catherine Day sets foot in a remote fishing village and starts asking around about her birth mother, the body of a woman dredges up in a fisherman’s nets. Not just any woman, though: Marie Garant, an elusive, nomadic sailor and unbridled beauty who once tied many a man’s heart in knots. Detective Sergeant Joaquin Morales, newly drafted to the area from the suburbs of Montreal, barely has time to unpack his suitcase before he’s thrown into the deep end of the investigation. On Quebec’s outlying Gaspé Peninsula, the truth can be slippery, especially down on the fishermen’s wharves. Interviews drift into idle chit-chat, evidence floats off with the tide and the truth lingers in murky waters. 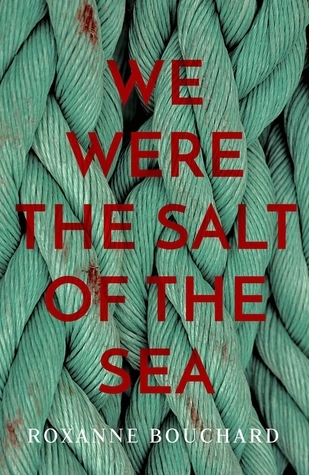 It’s enough to make DS Morales reach straight for a large whisky… Both a dark and consuming crime thriller and a lyrical, poetic ode to the sea, We Were the Salt of the Sea is a stunning, page-turning novel, from one of the most exciting new names in crime fiction. This story is still swirling round in my mind as it had such a mystical feel to it as I was reading. The tragedy of it all for me was the timing of Catherine Day arriving at the small fishing village in Gaspé Peninsula. As the anticipation of Catherine finally meeting the mother that had abandoned her at birth grew with each person she spoke to, I began to realise just how much courage it had taken her to hunt her down. The dread that the bond that had been lacking at birth could still be the reason to reject her now all too clear in her mind. 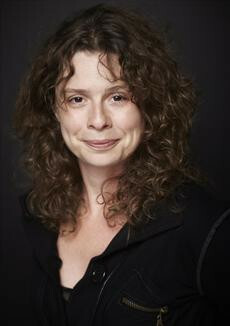 When the body of Marie Garant, her birth mother, is discovered tangled in fishing nets and very much dead, it leaves Catherine frustrated and angry that she had been yet again ‘abandoned’ with years of why? never to be answered. What was even more tragic was the fact that she, being the only relative there, had to deal with the burial and the impossible decision of, do you want to view the body of the mother you never knew? To be honest it took my breath. Too many extreme emotions to make logical decisions. This story for me is almost fairy tale like with such strange and at times eccentric characters that have lived in the fishing village all their lives. Stories of her mother are retold to her, with a picture of a beautiful almost siren type magnetic charm that men could not help but be attracted to. Marie’s passion for the sea sort of rounded her off completely. It wasn’t only Catherine that was digging into the past life of her mother but also the troubled DS Morales sent to investigate if her death was the work of a murderer. This is such an unusual story with distinctive characters you wouldn’t find the like of anywhere else. Each has their own voice, tone and a rhythm that makes them as unique as any finger print ever could. You really don’t need to be told who is speaking, you just know. The whole story was like the sea. It was unpredictable, stormy and unforgiving but the beauty of it all was quite superb!